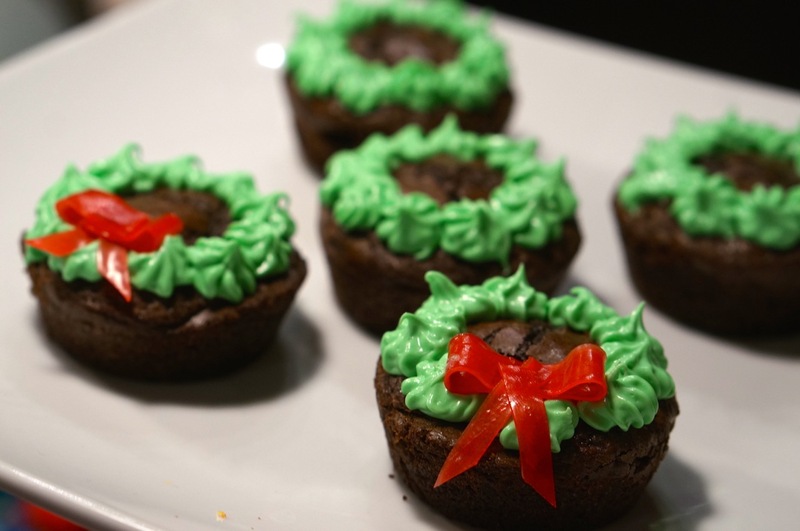 ‘Tis the season for holiday parties, cookie exchanges, and baked good swaps. I feel like every time I turn around I am baking for another holiday event. As my list of Christmas themed baked goods is growing, I am finding it harder to find new creative ideas that I want to try. Luckily Pinterest seems to have endless adorable baking options. 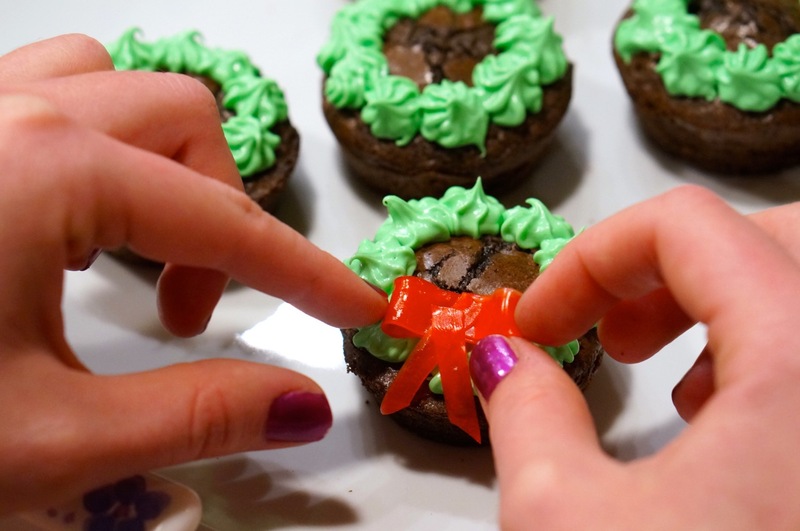 I found this pin, showing how to make wreaths out of icing on cupcakes. 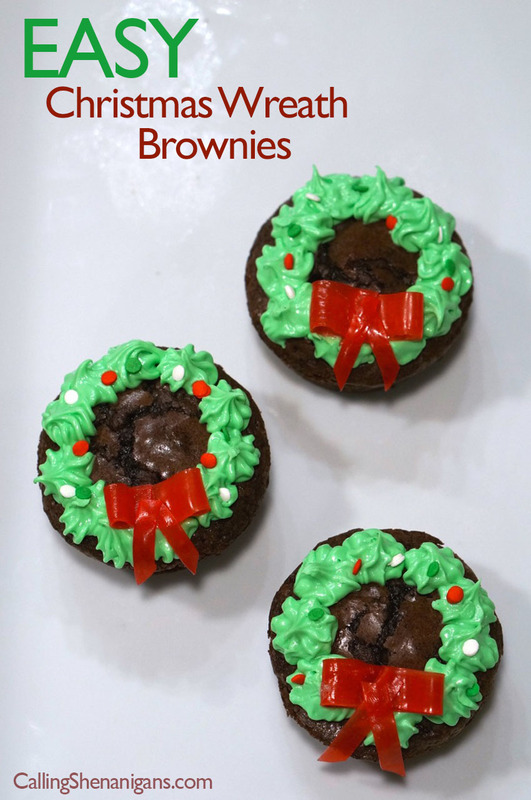 Unfortunately I only had a brownie mix at home instead cake mix (or fortunately for me since I love brownies), so I adapted the pin to make these adorable Christmas Brownie Wreaths. 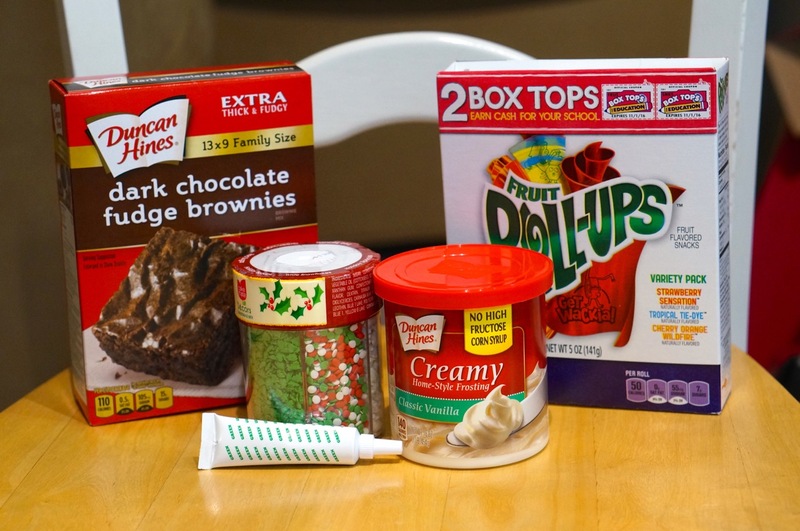 1) Follow directions on box to make brownies. 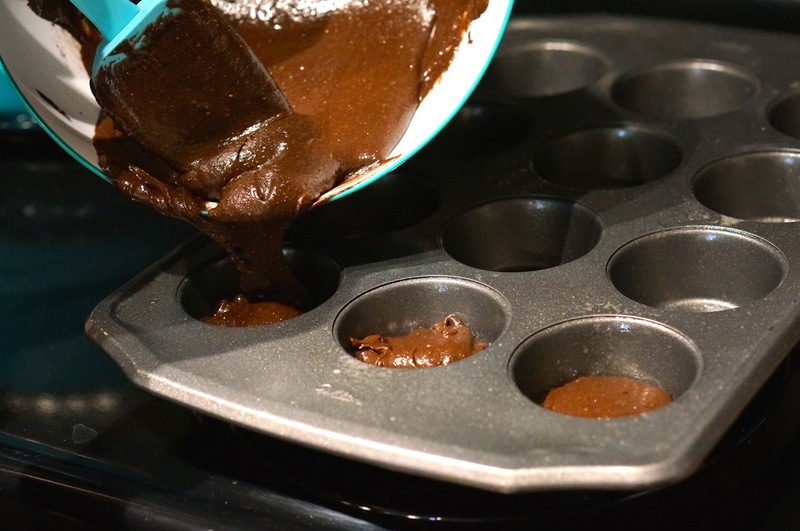 Pour batter into greased cupcake pan (fill about half way). 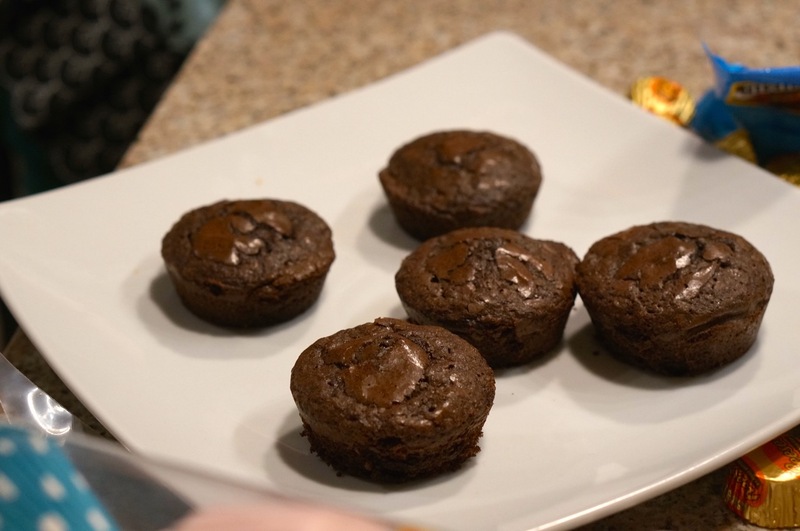 Bake for about 10 minutes less than what the box says (since you are baking in a cupcake pan), then periodically check every couple of minutes until the brownies look like they are breaking away from the sides. 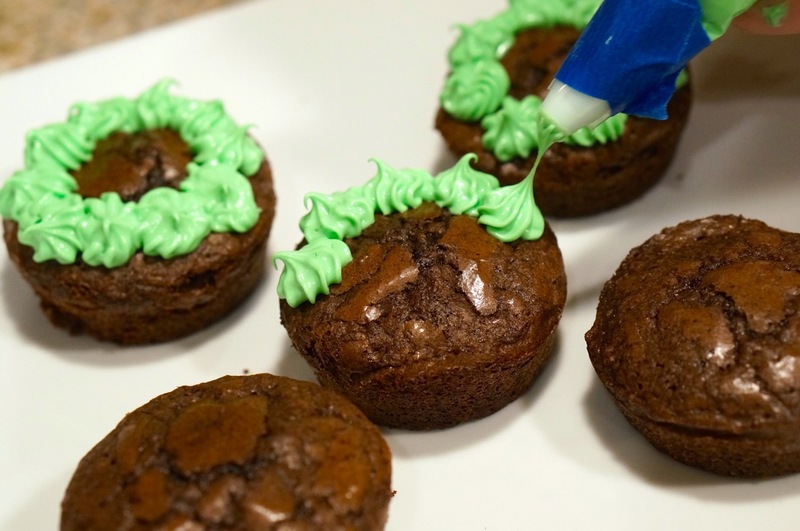 3) Mix green food coloring with icing, and pipe little dots into the shape of wreath. 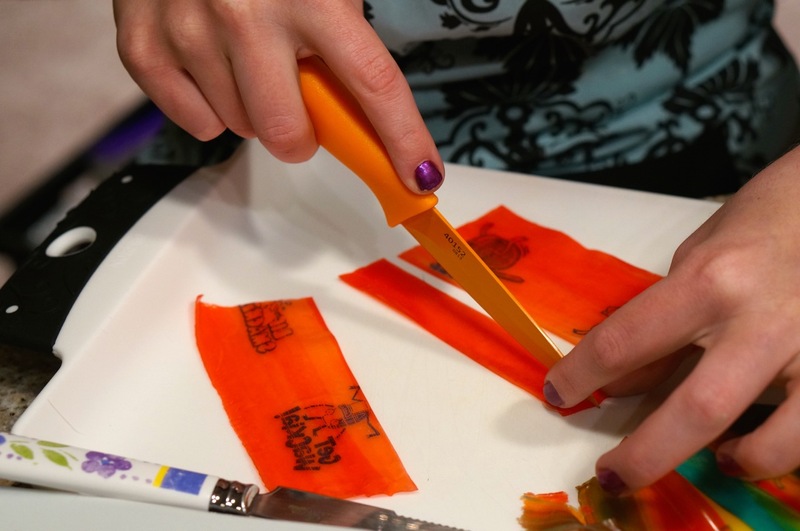 4) Cut the fruit roll up into 2 wide strips and 2 skinny strips. 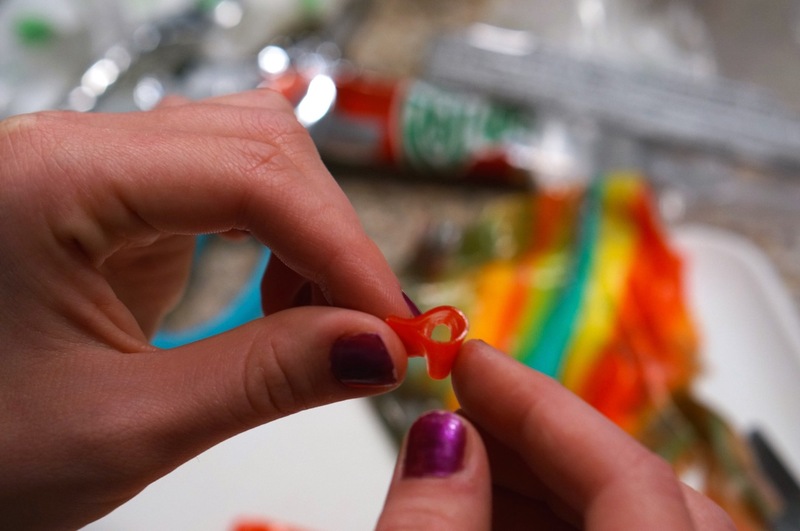 5) Use the wide strips to 2 big loops to make the big part of the bow. 6) Place the 2 big loops so that they meet in the middle to make the base of the bow. 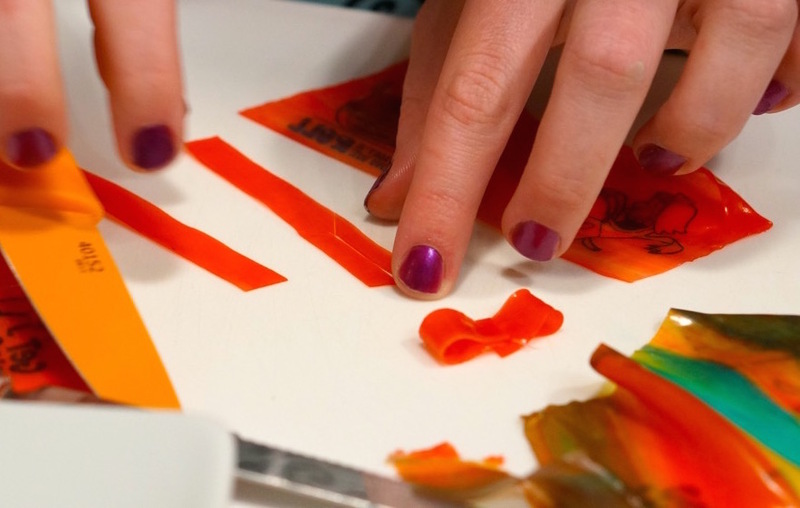 7) Then use the skinny strips as the ribbon that hangs off of the bow, and place it onto your wreath. They quickly tun into adorable wreaths, fit for an adorable mini door. 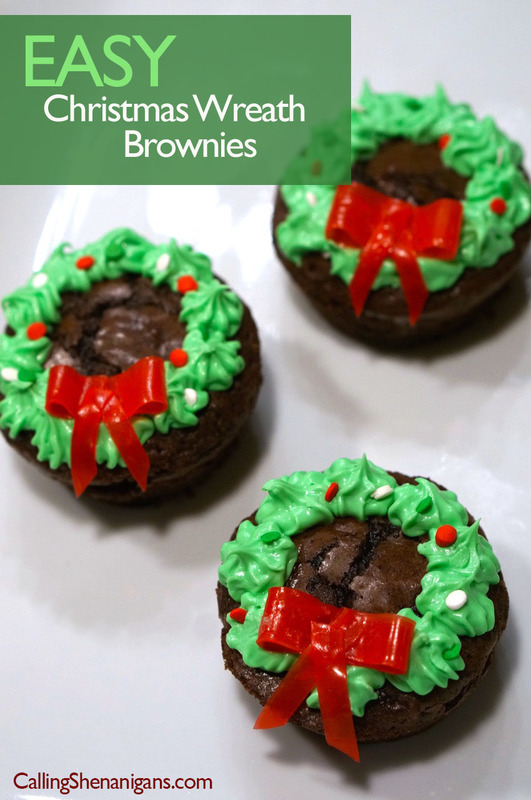 Optional: If you want to take your adorable Christmas Brownie Wreaths to the next level, add holiday sprinkles to make it look like there are lights/ornaments on your edible wreaths.